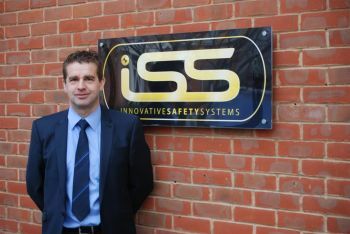 THIS month vehicle CCTV and safety technology experts Innovative Safety Systems Ltd (ISS) are joined by new Board Director, Jonathan Thomas. Jonathan leaves his position as General Sales Manager for refuse vehicle manufacturer Dennis Eagle bringing with him over 17 years of experience in the waste management sector. Jonathan’s career in the sector began when he worked as an Hydraulic fitter for a bin lift manufacturer and then as a demonstration driver for Jack Allen, before moving over to Dennis Eagle when the company was bought out. A successful and popular member of the sales force, one of Jonathan’s biggest achievements was selling over 200 vehicles in one year. Going forward Jonathan and Gavin have big plans for ISS, including expanding the business into new markets and developing more innovative products.